Launched in 1998 the Ford Ranger has been a popular steed indeed, especially due to its 3.5T towing capacity which not many in the segment offer leaving it perfect for the country lifestyle. Moving animals around as well as lugging boats and racing cars around, combined with the fact that the interior is a lot less utilitarian than other such commercial vehicles on the market makes it a tempting proposition. The latest variant is pretty awesome looking I feel with an aggressive and menacing front end after its facelift and indeed the sheer size of the Ranger is a menacing sight to behold on the roads. Visually it is very much the spawn of its American roots. 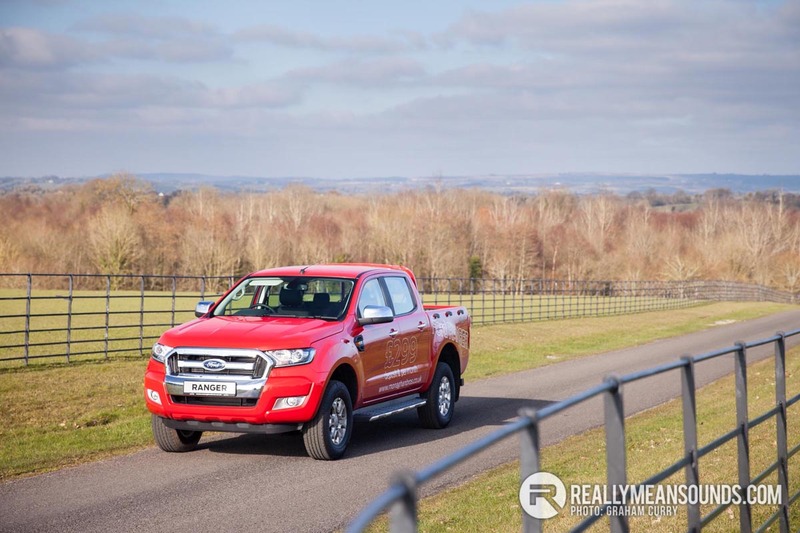 The pre face lifted version was similar in the fact that it had a mega presence on the road, and it did indeed look attractive, however this new model has smartened up the Ranger perfectly and made what is nothing more than a workhorse to most owners, very modern. The large chrome grill up front was complimented on this test model with alloy wheels and side steps while the rear end had a very meaningful and more than purposeful tow bar system and the sides of the “pick-up” had strapping loops attached. The loading bay was perfectly sizeable with dimensions coming in at 1.5m by just over 1m meaning a euro-pallet will fit with ease, payload weight of the rear end is 1 ton and on top of that from what I can see, there is the ability to tow a further braked 3.5 ton. 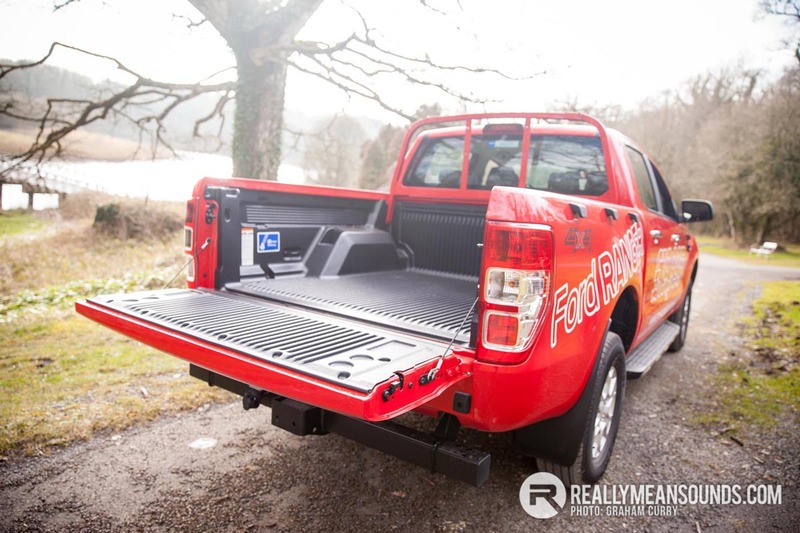 Three body types are on offer with the Ranger coming in single cab which means two doors and two seats is ideal for the mountain farmer with a supercab offering minimal rear seating and suicide opening rear doors with the most popular seller being the double cab that we tested offering 4 proper doors and five usable seats. 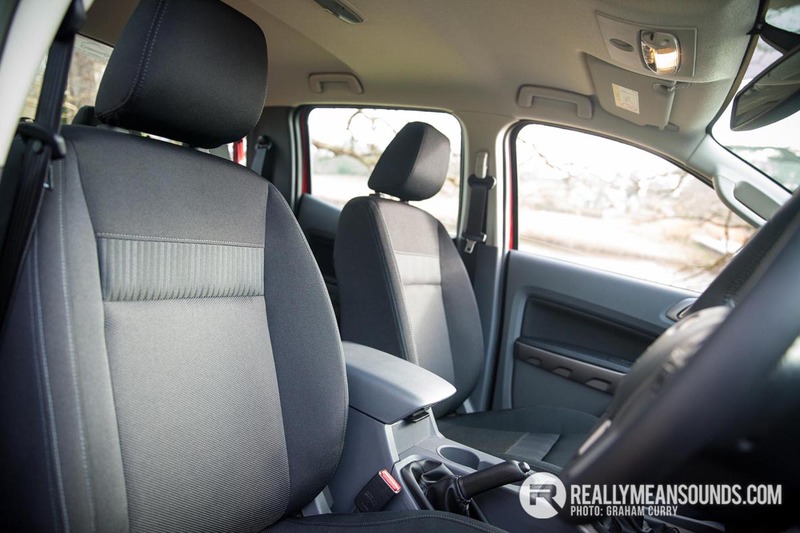 Inside the Ranger is very spacious offering good front and rear leg and head room and the biggest surprise to me was the comfort of the seats, there are not many vehicles of this type on the road that offer such comfort and support when it comes to the seating in my eyes. The dash is incredibly modern and car like, although being a commercial vehicle, quite cheap with few soft touch materials; however this is just something that comes with most brands in this category however the overly chunky steering wheel makes up for that with all of its infotainment controls at your fingertips. The dark cloth seats maybe are not the best choice and a leather upgrade would be the first thing I would do to keep the dirt levels down inside when being used in the manner that most commercials would be. Spec wise this middle of the range XLT (XL model would be the entry level with a Limited just above and the range topping Wildtrack after that) was fantastic with electric windows all round, heated windscreen, leather armrests on the doors and quite sports like blue needles on the dials. Infotainment wise, this larger than life Ford didn’t disappoint either with USB & AUX input to the DAB radio which in fact also had the rarity these days of being able to play compact discs. Bluetooth was another feature and the whole system although complicated looking was very simple and easy to use and understand. 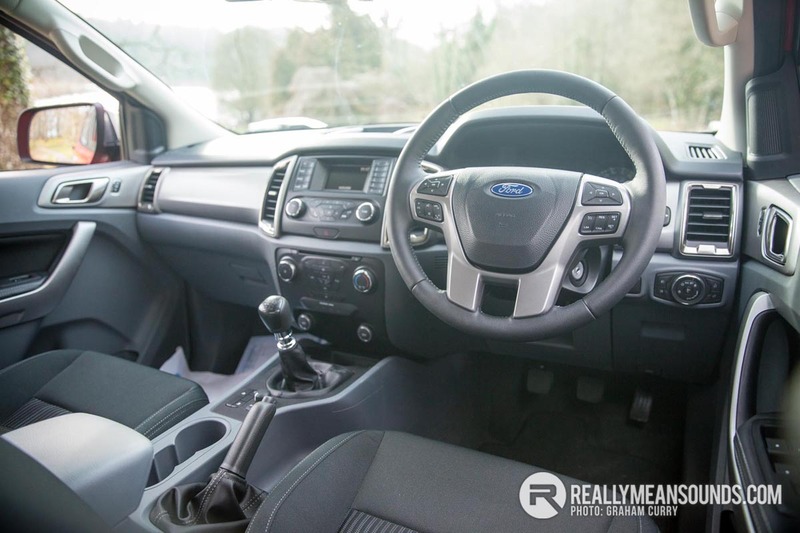 Engine wise, Ford have kept things simple with only two diesel engines on offer, firstly there is a four cylinder 2.2L TDCi producing 160bhp and for those who like a little more displacement there is a five cylinder 3.2L TDCi which produces just shy of 200bhp. The 3.2L seems to be the most popular for buyers and despite great performance, comes the sacrifice of lesser fuel economy over the 2.2TDCi engine. The model we tested was equipped with the 2.2TDCi engine and I must say that combined with the six speed manual gearbox pulled well throughout the rev range. On the hour or so that I had the Ranger out on review, on mixed roads without any load on board it was returning around 40mpg which was a pleasant surprise, with the optional six speed automatic gearbox this would reduce to a reported low 30mpg. There is a rear wheel drive only option, which isn’t the most popular and I can imagine for any used buyers would be a hard to find model, however the four wheel drive cars are all equipped with varying drive ranges etc and some may even have the optional differential lock added from the factory to help them in the very rough terrain. 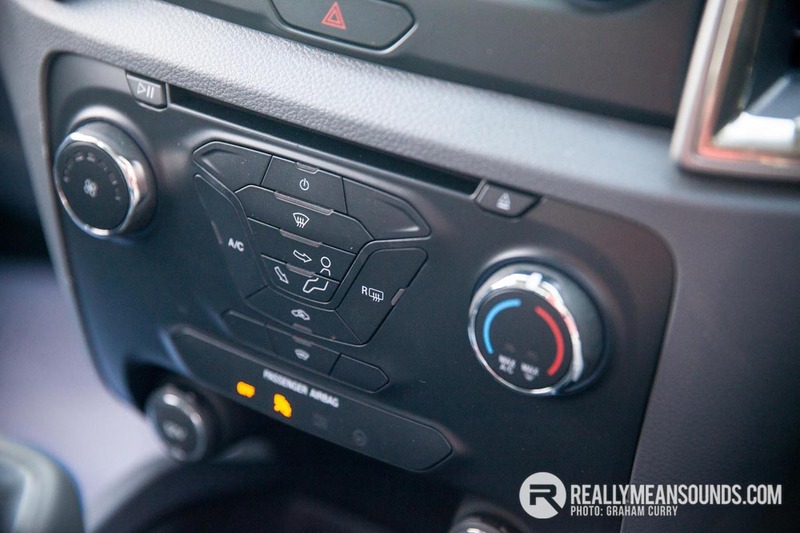 Driving the new Ford Ranger is relatively effortless and due to the size of the pick-up the seating and driving position is very high up, giving the feeling of being in a big rig truck and having an illusion of added safety due to this. Handling wise, with revised suspension on this face lifted model, there is minimal roll and I would actually compare the driving experience as similar to the Isuzu D-Max with both aforementioned vehicles out driving and out specking the Mitsubishi L200. 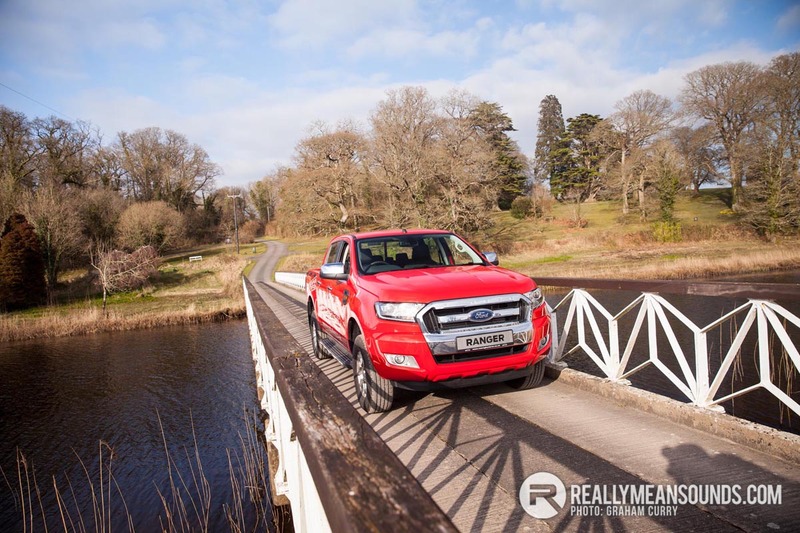 Overall I think the Ranger has taken the right steps to up its appeal to the technology driven active adventurer, yet still kept hold of its traditional, mechanical loving out and out workhorse owners and hill farmers.